So, you think you may have a vocation to the religious life, holy orders, consecrated single life, or to the married life, but what should you do next? 1. Talk to your parents. Tell them where you think that God may be calling you and why. 2. Talk to your parish Priest. For men who enter into the dedicated single life, they would have to make private vows of chastity with their Priest. Women who wish to become a consecrated virgin will make vows under their Bishop. Going through your Priest for advice and guidance is the next best step to take. 3. Find a spiritual director and and talk to them. They too will help you to discern whether this life of virginity is really what God is calling you to. They will help you to discern where the Holy Spirit may be leading you. 4. Visit our stories page to read stories from people who are dedicated singles or consecrated virgins. 1. Talk to your parents. Your parents will likely be very happy and willing to tell you about their experience of married life – its hardships, joys, and the nature of the vows they made when they were married. 2. Discern with your significant other, or should there be someone who you are growing in friendship with, pray about whether or not God is calling you to an exclusive relationship to discern marriage. Is marriage really where God is calling you to? What is your motivation to marry? Do you lead each other to holiness? Is this relationship fulfilling the desires of your heart or is there still something missing? 3. Find a spiritual director and and talk to them. If you are in a relationship discerning marriage, seek the help of your spiritual director to see where the Lord may be leading you. 4. Visit our stories page where you can view or read testimonies from married couples. 1. Talk to your parents. Let them know the vocation that you are considering and why. This may be a new experience for them, especially if there have been no other religious in the family. They may not be sure on what to do next or how to support you. This may also be something they have hoped and prayed for. This is a journey you will both embark on together, in a mutual giving of support while you discern this vocation. 2. Talk to your parish Priest. Talk to him for support in discerning your vocation. If you desire to spend more time in the Church in front of the Tabernacle, praying, when the doors are normally locked, see if you can arrange with your Priest some time, even on a regular basis, to spend with the Lord. He may be able to offer other recommendations or help in vocational discernment. 3. Find a spiritual director and and talk to them. They will help you to discern where the Holy Spirit is guiding you. 3. Talk to a vocations director. Every diocese should have one. They are typically meant more to help with diocesan vocations to the Priesthood, but they can counsel men and women about the requirements for this kind of commitment. They can suggest to you different reading materials, arrange for visits to orders, etc, answer questions and provide the spiritual guidance that you will need. 5. Visit our GPS page for a list of seminaries and orders which Team Orthodoxy recommends, as well as a list of other religious orders and dioceses which you can contact for further information. 6. Contact orders or seminaries, etc. that you might be interested in. Set up a time to visit, and to talk with the vocations director in the place where you will visit. 7. Visit our stories page where you can read testimonies from those in the religious life. 1. Talk to your parents. Let them know the vocation that you are considering and why. This may be new for them, especially if there have been no other Priests or Deacons in the family. This might be something they have hoped and prayed for. This is a journey where you will both embark together, in a mutual giving of support while you discern this vocation. 2. Talk to your parish Priest. See what their experience is of the Priesthood. Why do they love it? What drew them in? Take some time to get to know them and hear their story. 4. Find a spiritual director and talk to them. They will help you to discern if this is where God may be calling you. 6. Contact communities or seminaries, etc. that you might be interested in. 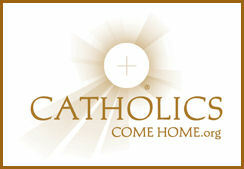 Set up a time to visit, and to talk with the vocations director in the place where you will visit. 7. Visit our stories page where you can read testimonies from Priests on their experience and journey to their vocation. For all of these possible vocations, you must keep praying and discerning. Just because you feel a call, does not mean this is the time to kick back and relax. Should you enter a convent, a seminary, a monastery, etc, until your final profession, you are still technically in a period of discernment. This is just the beginning of your journey! The same still goes even for engaged couples. Until they have said their vows at the altar, God can still call them to a vocation they may have been fighting not to answer. Always keep seeking the Lord and seeking to do His will.